One of the worst things about this life of ours is that it can hit us hard right on the face before we have even recovered from the previous blow. British actress Nadia Sawalha’s ex-husband killed himself while both of them were going through the tough times of their separation. What Nadia went through after that only Nadia can imagine. Nadia Sawalha is British actress famous for her role Annie Palmer in long-running British soap opera EastEnders, and as a panelist of Loose Women--ITV panel show, which discusses a wide range of issues. Nadia was one of the original panelists when the show started in 1999 and went on to work on it for a couple of more years. She reprised her role in the show in 2013. 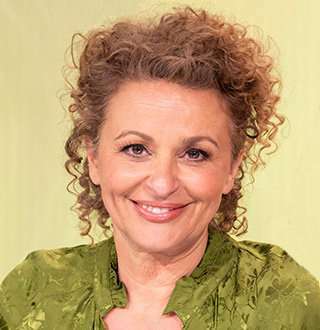 Nadia Sawalha was born on 18 November 1964 in Wandsworth, London as the daughter of Jordanian-British father Nadim Sawalha and English mother, Roberta Lane. The 51 aged actress's success can be credited with the acting blood running in the Sawalha family. There is her father, who came to Britain to pursue his acting dreams; an uncle, Nabil, who is a well-received comedian in Jordan; and then there is an equally famous sister, Julia, who has starred in BBC sitcom Absolutely Fabulous. In spite of the success in professional life (now in personal life as well), Nadia had to face some of the worse personal problems, the likes of which all of us want to avoid. One of such was her disagreement with her elder sister, Dina, which happened a day before Dina's wedding. Apparently, Nadia didn't want her sister to be married to the man she was going to marry, the reasons behind which were not mentioned. When Dina, disregarding her sister's advice, went on and got married a rift appeared between the two which didn't disappear until Dina was divorced from the said man. But her rift with her sister wasn't the only problem she had to face in her personal life; there was an even greater tragedy. Around the time when Nadia was at the peak of her career with the EastEnders, she was beginning to drift apart with her then-husband, Justin Mildwater. 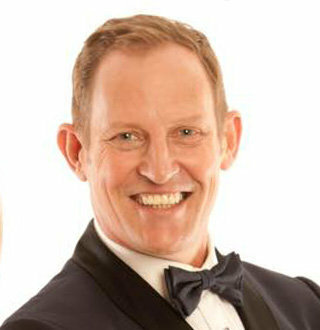 This led her to start a relationship with EastEnders co-star, Marc Bannerman, and subsequently separate with Justin. Justin couldn't take the heartbreak and hanged himself. In his death note, he is said to have mentioned estrangement with Nadia, who he loved dearly till his death. Imagine what torrent of emotions Nadia must have gone through, the pain, the guilt, the memories. While her relationship with Marc didn't last long, she eventually found happiness with Mark Adderley, a TV producer. The spark between the two was so obvious that they were married within five months of starting to go out. Nadia relationship with Mark was solidified with their two children; the eldest daughter, Maddie, was born shortly after the wedding and second daughter Kiki-Bee three years later in 2007. Living with husband and children in London, her grief of first husband's death was certainly lessened. Into sixteenth year of her married life, Nadia is back to her happy, bubbly self, away from the phantom of the tragedy that once haunted her. Regarding the fact that he helped her out of that hole, Mark Adderley probably was (and is) a perfect person for Nadia. Whoopi Goldberg With Grown Daughter Despises Having Husband, Lesbian? Jim Rash Personal Life Discussed; Gay Man Has A Partner, Who Is He? Zoe Boyle Wiki: After Boyfriend 'Devil' Tom Ellis, Dating Another Actor?